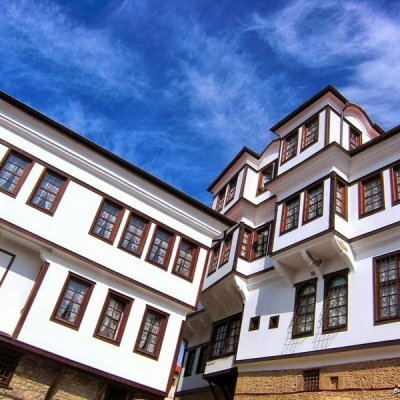 The city of Ohrid has a centuries-old tradition of museum activity. It is known that in the church of the Holy Virgin Peribleptos (among the people also known as St. Clement), more than two centuries before the Louvre (1739) and the British Museum (1753), for about 400 years, in the period from 1516 till 1916 existed a "treasury" (museum) of the Ohrid Archbishopric that makes the museum of Ohrid one of the oldest in Europe. 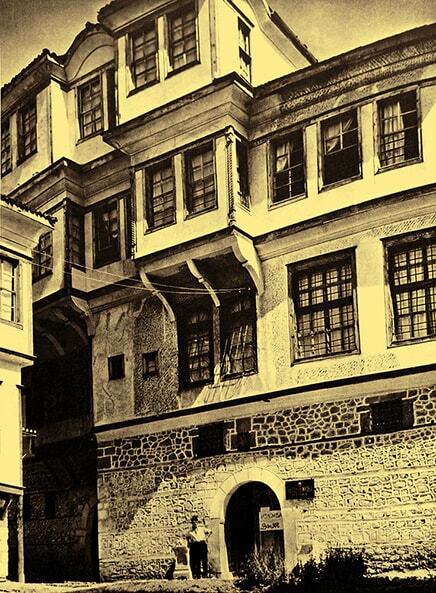 In 1916 the seal of this general museum was discovered and in the same year the army of the Bulgarian monarchy took to Sofia many treasures this museum, including the seal that is today kept in the church museum of the Holy Synod of the Bulgarian Orthodox Church. 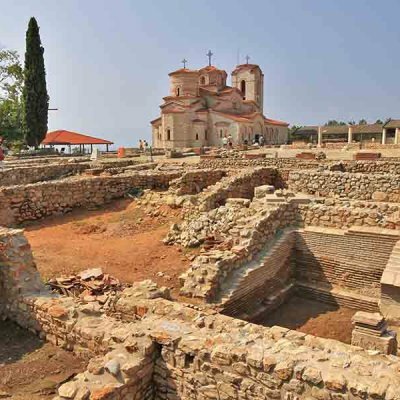 As it is generally known, Ohrid was an important cultural center of the Macedonian people throughout the Middle Ages, and the church of St. Sophia, the Cathedral of the Ohrid Archbishopric, one of the most significant monuments of the medieval architecture and art in Macedonia. 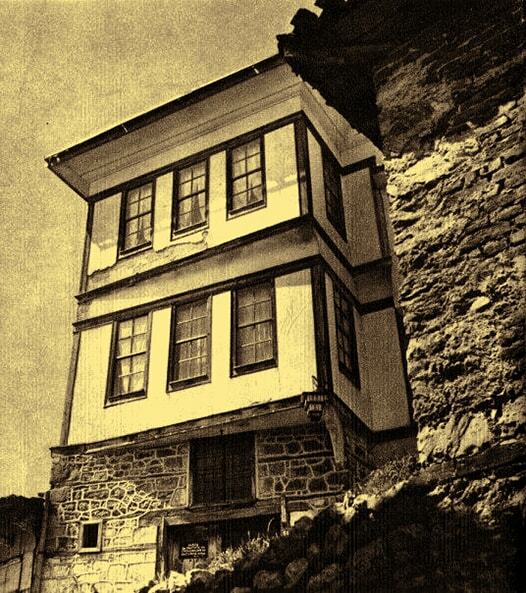 After its conversion into a mosque (15th century), as well as the church of St. Panteleimon and some other churches, the church Holy Virgin Peribleptos became the seat of the Archbishopric. Then all the historical and artistic values i.e. the museum treasury of the antiquities were moved to this church where a kind of "general museum" (museum treasury) was formed for which the mentioned seal from 1516 was made. 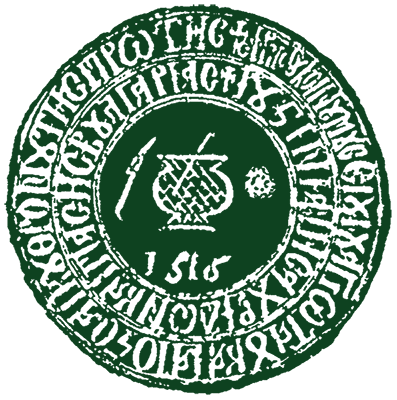 Most probably this museum functioned even after the abolition of the Ohrid Archbishopric (1767) until the First World War, when many antiques with historical and artistic values were unlawfully taken, among which was the seal. 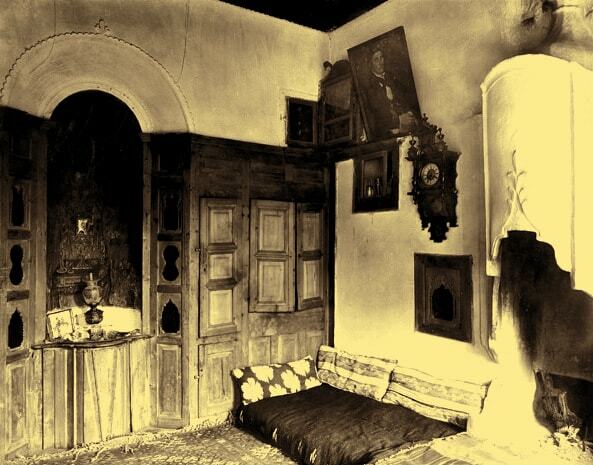 In 1936 collection of all objects of historical and artistic value from Ohrid and its surroundings was organized with the intention to create a fund for the future museum. 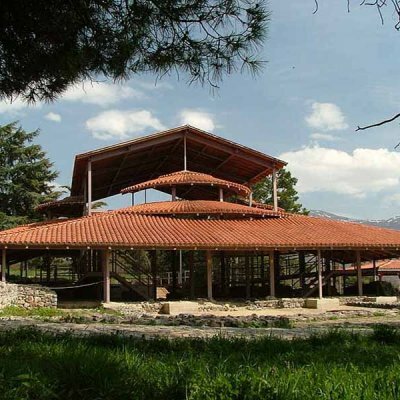 The museum activity was restored during the Second World War, but in the form of a real museum institution, but as the Department of Antiquities in Ohrid, which was under the jurisdiction of the then National Museum in Skopje. 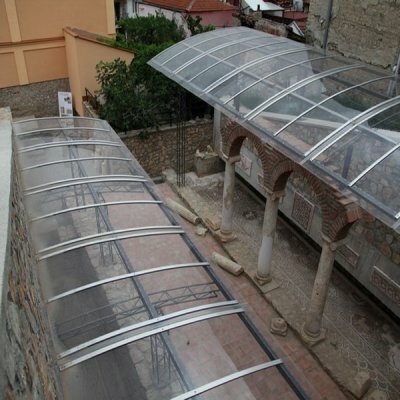 This service took care not only for the remaining museum values from the old Archbishopric's Museum, but was also concerned with the other cultural and historical values in Ohrid, of course, within the contemporary possibilities, when this part of Macedonia was under Bulgarian administration. Head of the service was Kiril Prlichev from Ohrid (son of the great poet Prlichev) and in this time, among other things, the first archaeological excavations in Plaoshnik have started i.e. the uncovering of the remains of St. Clement's church of St. Panteleimon in Ohrid, at which time St. Clement's tomb was discovered. This discovery was announced and later scientifically presented by the successor in the Department of Antiquities in Ohrid, Ohrid Dimche Koco, also from Ohrid. Finally, after the liberation on an initiative of the writer Dimche Malenko, the first steps in the collection of materials and objects of history, archeology and ethnology of the citizens was undertaken on a voluntary basis. The turnout of the citizens of Ohrid was big because they voluntarily derogated the items that they have jealously kept for years, so that in a short time around 700 items were collected. But the museum as an institution, was founded in June 1950, and on May 1, 1951 the doors of the National Museum in Ohrid were widely open in the Ohrid architectural "beauty" House of the Robev family (archaeological and historical department) and also in the beautiful old city architectural building, the house of Urania (ethnological department), thus Ohrid museum tradition institutionally was restored and continuously works to date. In 1952 an Archive center was founded within this museum and after two years, in 1954 broke away as a separate institution. In the same year, 1952, an Art Gallery was founded in Ohrid as an autonomous institution, the second of its kind in Macedonia. 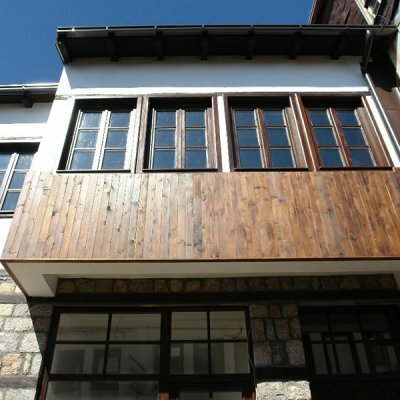 It was housed in the Savin's family house, and in the next year, 1953, this Ohrid Art Gallery was included within the National Museum as an independent department, together with the rich collection of 88 works of art, mostly donated by the Council of Education and Culture of SRM and the Art gallery in Skopje and by the end of 1962 the fund of the gallery counted totally 236 exhibits-paintings, prints and sculptures. 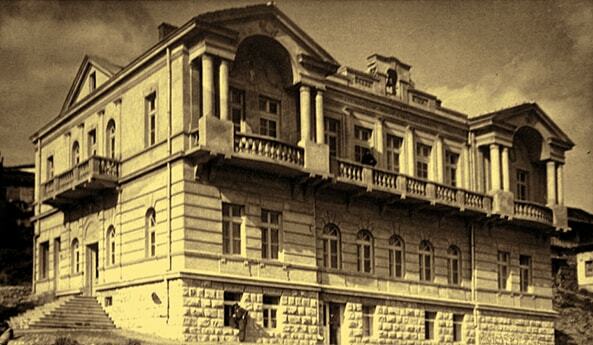 In 1952, the Office for Protection of Monuments of Culture was transferred to the National Museum which in 1956 obtained the power to take care of the movable and immovable cultural heritage within the Ohrid area, also covering the municipalities of Resen, Struga, Makedonski Brod and Debar. 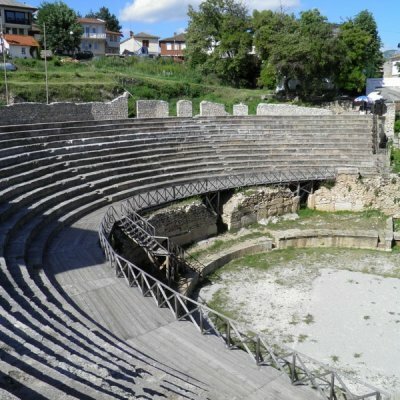 Then have started the first archaeological connoiters and on the territory of the Ohrid area about 400 archaeological sites were registered and a number of archaeological excavations were undertaken. 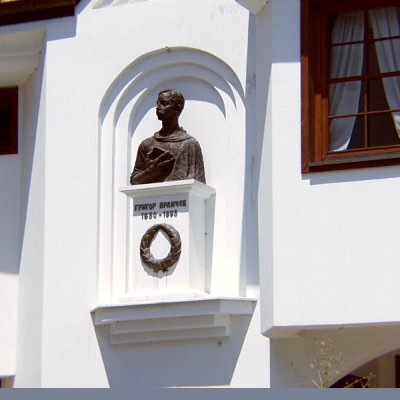 In September 1962 in Ohrid a Municipal Institute for Protection of Monuments of Culture was established, which independently exists around ten years and in that time, in cooperation with the National Museum and the Republican Institute, assumed and performed protective archaeological excavations and conservation works of the architecture and painting of many monuments. In the March 1973 the two institutions integrated into one i.e. 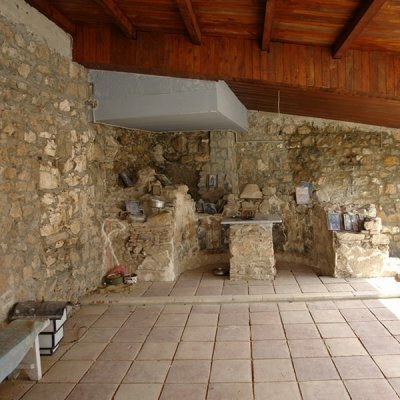 in the institution which today operates under the name NI Institute for Protection of Monuments of Culture and Museum-Ohrid. This institution conducts all forms of care for cultural monuments: archaeological research, conservation, restoration and presentation of the archaeological movable exhibits and archaeological sites, ethnological research, conservation and presentation of the ethnological museum exhibits, historical research, studying and presentation of historical documents, photographs and other items, research and conservation of works of art history (iconography, frescoes), conservation and presentation of sacred and profane immovable monuments of culture, preservation of old manuscripts and old printed books, collection, studying and presentation of artworks by contemporary authors e.tc. 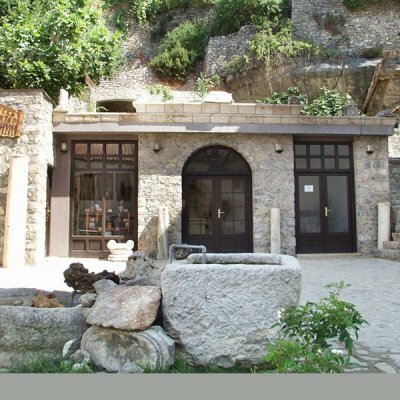 In one word, NI Institute and Museum in Ohrid is an institution that handles all movable and immovable, sacred and profane cultural heritage of Ohrid and Ohrid region. 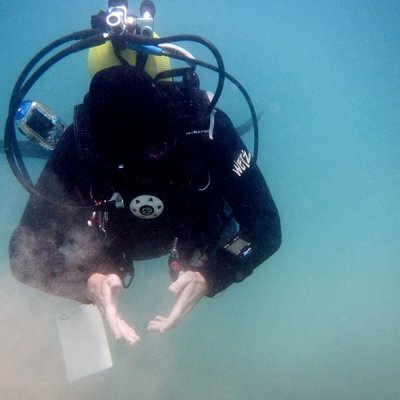 Our institution, in cooperation with the club for underwater activities "Ohrid" from Ohrid, is a pioneer in the underwater archaeological research in Macedonia and initiator for the establishment of a Center for Underwater Archeology in Ohrid. In the period between 1997 and 2001 the first underwater archaeological research of the Ohrid Lake, but also of Prespa and Dojran lakes were realized, as well as systematic underwater archaeological excavations of a prehistoric pile-dwelling settlement from the Bronze Age at Plocha Michov Grad near the village Peshtani (1907-2001) as well as several other underwater archaeological sites. 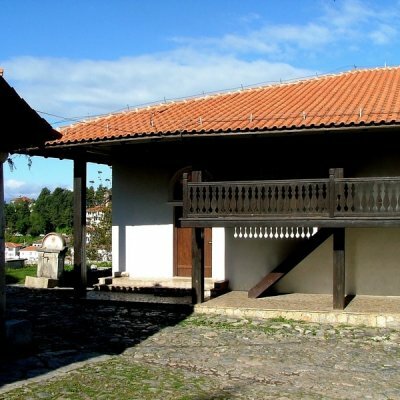 NI Institute for Protection of Monuments of Culture and Museum-Ohrid, as an institution that takes care of the entire cultural and spiritual heritage of Ohrid, nurtures the traditions and successfully represents the museum reality in this region, inexorably will continue its successful path in the future. An institution of this kind and caliber is an unavoidable need for the values from the past, present and the future of the city under Samuel's Fortress. 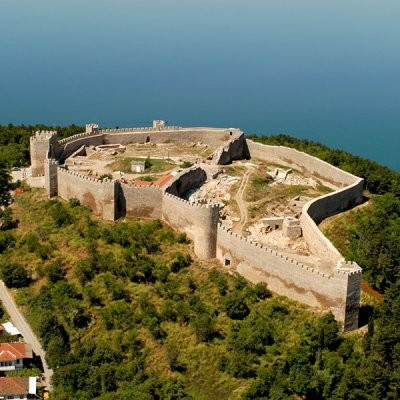 From 1979 and 1980, the cultural values of the city and the region, along with the natural values of Ohrid Lake, is not only outstanding national treasure of Macedonia, but also an universal heritage of the whole world, inscribed as one of only 35 integral, natural and cultural heritage sites on the list of UNESCO.